There will be a meeting for the Smackover Little League on Monday night, January 5, at 6 pm. The meeting will be held in the Fellowship Hall of Smackover First United Methodist Church. Anyone interested in coaching or helping the Smackover Little League during the Spring, 2015, season is encouraged to attend. Posted in Buckaroo Community on December 30, 2014 by The Buckaroo Blog. Smackover Elementary School teachers created a festive environment this Christmas! Check out the slideshow below for their door decorations! Posted in Buckaroo News on December 21, 2014 by The Buckaroo Blog. The Smackover-Norphlet School District received a grant for $1,500 from the Arkansas STEM Coalition for start-up funds to support the planned STEM programs in the District. Money for the grant was presented to the Arkansas STEM Coalition by Mr. Gary Vaughan, Executive Director of Aerojet Rocketdyne’s Camden operation on behalf of the GenCorp Foundation. The GenCorp Foundation is the philanthropic arm of GenCorp and its subsidiary company, Aerojet Rocketdyne of Camden. We would like to thank Dr. Suzanne Mitchell, Executive Director of the Arkansas STEM Coalition, and Mr. Gary Vaughan, Executive Director of Aerojet Rocketdyne in Camden, for supporting the Smackover-Norphlet School District. 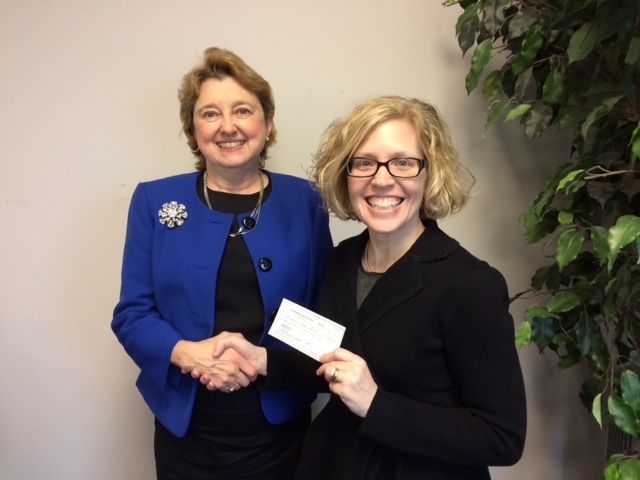 Dr. Suzanne Mitchell, Executive Director of the Arkansas STEM Coalition, presents Jennifer Lee, Curriculum Director, with a $1,500 grant from funds provided by a donation from GenCorp Foundation on behalf of Arojet Rocketdyne. Posted in Buckaroo News on December 20, 2014 by The Buckaroo Blog. We would like to wish the entire Smackover-Norphlet School District and our communities a very Merry Christmas and a Happy New Year! It has been an amazing first semester as a unified school district. We are so proud of our students, teachers, staff, employees, and communities for making the Smackover-Norphlet School District such a success! We look forward to serving you in 2015! Don’t forget…school resumes on January 5, 2015! Posted in Buckaroo News on December 19, 2014 by The Buckaroo Blog. During the fall semester, many community volunteers have volunteered their time to support Norphlet High School. Thank you to all of our community volunteers! 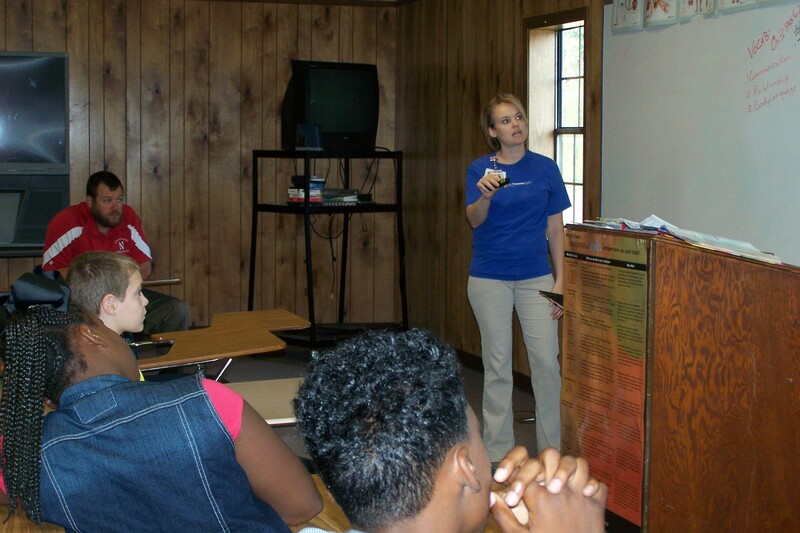 Dawn Porter came to speak to some of the Driver’s Ed. 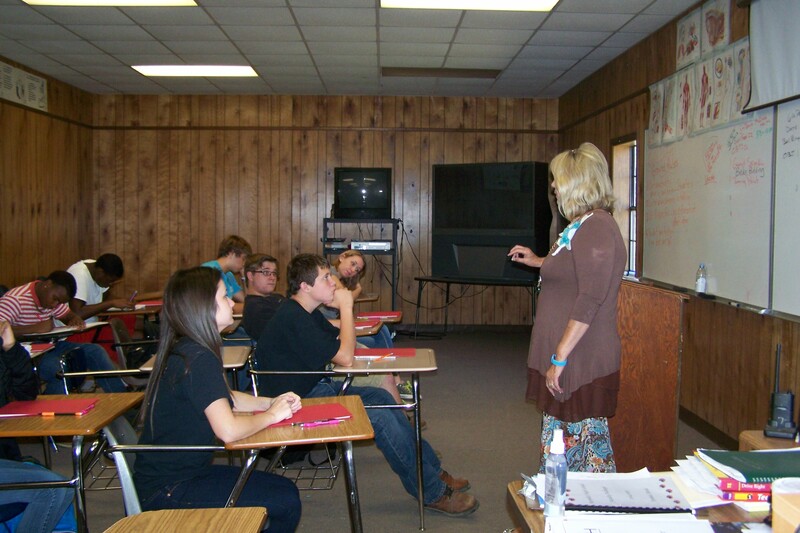 classes on accidents, wrecks, and driving safety. Mr. Ron Hale spoke to our Driver’s Ed. 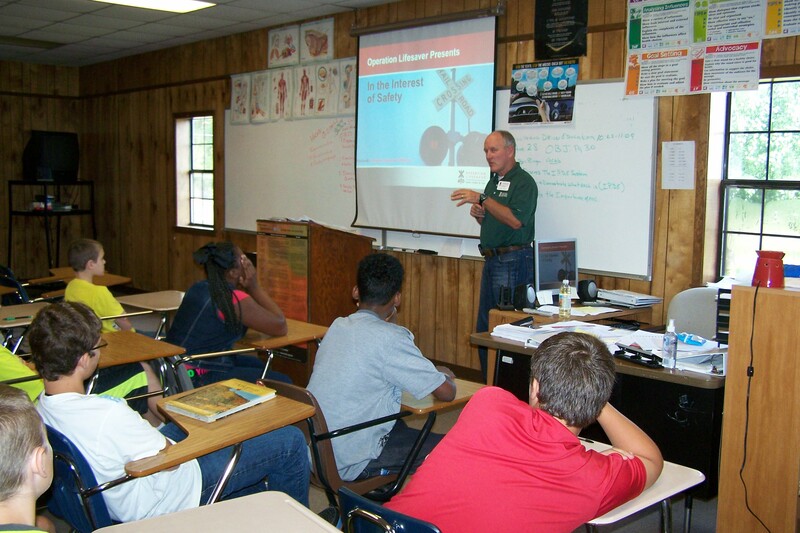 classes on Railroad Safety. 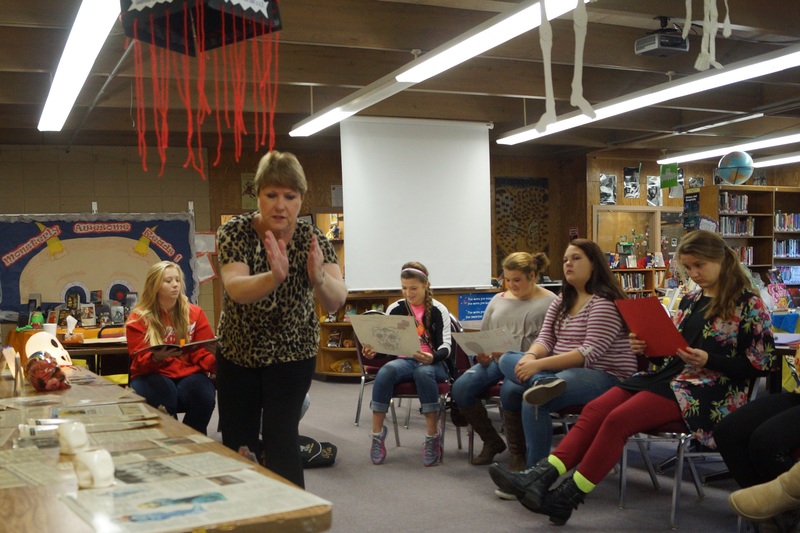 Mrs. Becky Bolding of Turning Point came to present a new program called Safe Dates to all of our Health Classes. Safe Dates is designed to help students understand what a healthy dating relationship is and identify dating abuse and ways to prevent dating abuse. Clara Ayres, a former Spanish teacher, came and presented a program about the Hispanic holiday, El Dia de los Muertos (Day of the Dead). Posted in Buckaroo News on December 18, 2014 by The Buckaroo Blog. In November on Veteran’s Day, the Smackover Elementary School Student Council presented a program honoring our veterans. Following the program, a reception was held. Check out the slideshow below for pictures from the event. Posted in Buckaroo News on December 17, 2014 by The Buckaroo Blog. 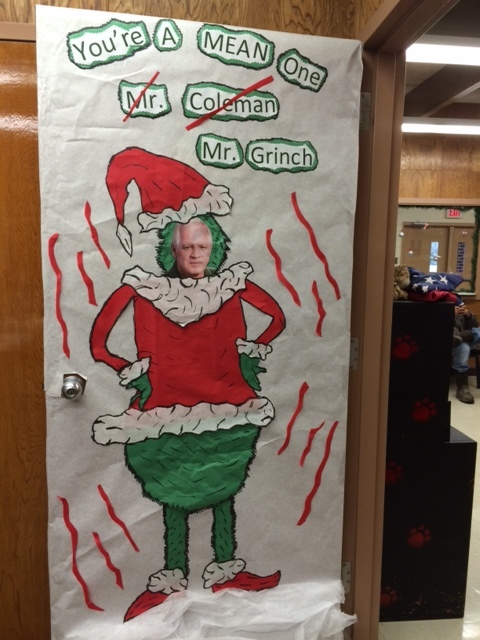 Smackover High School teachers got into the Christmas spirit by decorating their doors in honor of the season. Check out the slideshow below to see some of their creations! Posted in Buckaroo News on December 16, 2014 by The Buckaroo Blog.